Kilkenny's Henry Shefflin and Brian McDonald of Laois. The Cats host Louth at Nowlan Park in their first game of the round-robin series on Tuesday week, April 23 and will be aiming for a respectable performance against the Wee County. It might be a bit much to expect them to repeat their heroic display of 22 years ago when they ran Laois to three points, 4-5 to 2-14, in the first round at O'Moore Park. Laois, with the brilliant Brian 'Beano' McDonald spearheading their attack, were in the middle of putting Tom Markham Cups back-to-back, but they received a huge scare from a Kilkenny team that included future All-Ireland hurling champions Michael Kavanagh and Noel Hickey in their defence. And a certain Henry Shefflin came off the bench to bag 1-1! 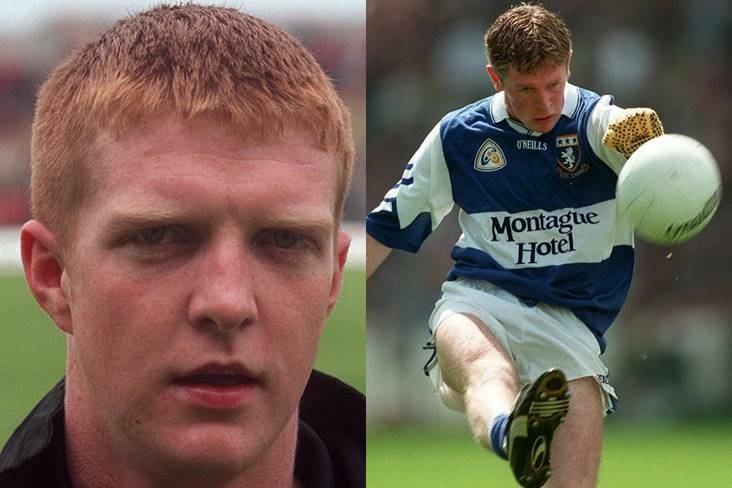 Laois - P Maher; T McDonald, E Bland, T Lynch; D Mullins, D Rooney, T Mulligan; M Hovenden (0-1), Stephen Kelly; K Kelly (1-3), T Kelly, Shane Hennessy; M Lambe, B McDonald (0-7), D Kavanagh (1-3). Kilkenny - F O'Neill; M Kavanagh, P Shore, N Hickey; J Morgan, N Nevin, JP O'Neill; JP Corcoran (1-0), M Hoyne; M Dunne (1-0), J Walsh, P Buggy; N McCormack (0-1), B Cantwell, P Sheenan (1-3). Subs: Henry Shefflin (1-1) for Walsh, J Brennan for Hoyne. Referee - F Togher (Longford).